Been thinking about more community? Join Today! We hope you are enjoying your summer, and are considering joining Washington Commons as we create community in West Sacramento. We would love for community-minded folks such as yourself to join us in this journey. Contact us today for more info! Come out and see the future cohousing site! A Saturday morning site tour is a great way to see our special location and envision the kind of structure and community that we will be creating together. It’s also a great way to meet others and through questions, answers and discussion get a better idea of what it is like to be “in community." We will outline the development process, the estimated costs and how to become a member and get involved. It is a great time to get your questions answered. 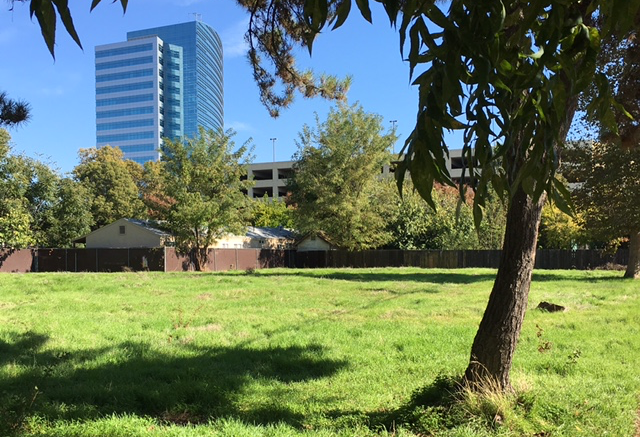 On August 11, our neighborhood walk will be along the Sacramento River to the Crocker Museum or other nearby location where we will continue the discussion of what’s involved to make this happen. Join us for a Thursday evening discussion! Evening's topic of discussion: STUFF! What do we do with our stuff? Most of us have too much stuff. Some is precious and some not so much. We know that in cohousing we will have smaller personal spaces because we will have large community spaces. We won’t need all the stuff we have collected over many years. Preparing to live in cohousing is, then, an opportunity to reflect on what is most important in our lives and in our stuff. At this evening meeting, we will share our strategies for dealing with our stuff, whether we call it downsizing or rightsizing; we are moving in the direction of sustainability. Our evening discussions have been enjoyable and informative. We have learned from and gotten to know each other. We invite you to come be a part of the dialogue. RSVP to Maggie Bo rowiak at maggie1000@gmail.com. 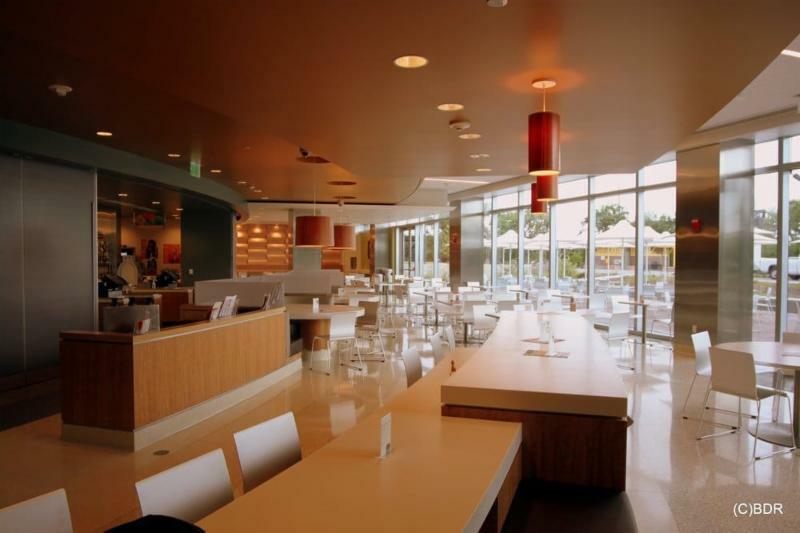 Join us for coffee at two upcoming Tuesday mornings on August 14th and 28th from 9:30 – 10:30 at CalSTRS in their cafeteria at 100 Waterfront Place on the Riverwalk – just 2 blocks from our site . You may be able to catch the Tuesday Farmers Market on Riverwalk right next to the CalSTRS building. We’d love to meet you! This is an opportunity for one-on-one conversations -- for us to learn about your specific interests in cohousing and Washington Commons -- and to help you get a better idea of who we are, what we are proposing and how you can become involved to help us create Washington Commons. We will be picking different coffee houses in Downtown Sacramento, West Sacramento and Davis in the months ahead. If you have favorite one you’d like us to visit, let us know! 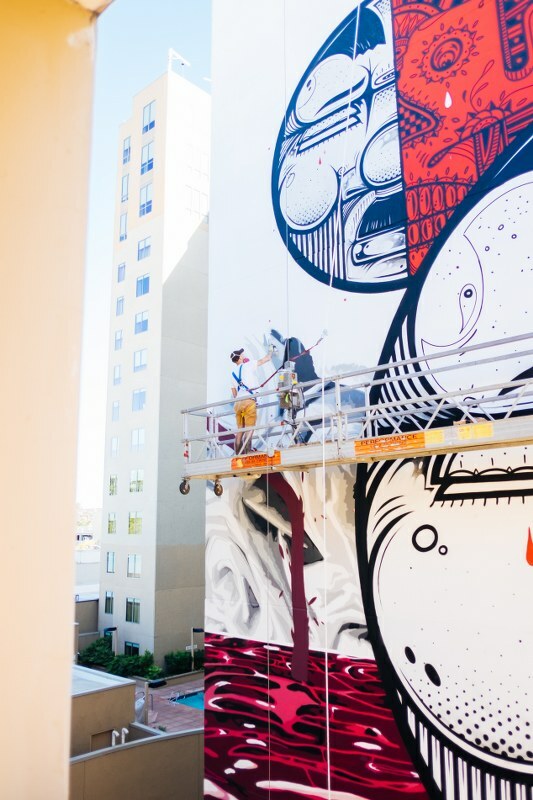 Sacramento’s Wide Open Walls outdoor mural festival is August 9-19 . 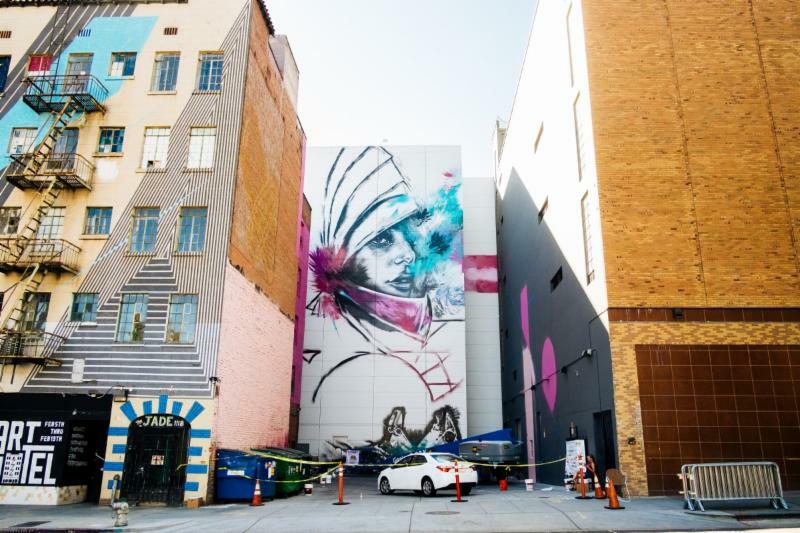 The festival, in its third year, is bringing over 40 artists from around the world to paint murals that will remain over time as gifts to Sacramento – a celebration of public art. Read about the festival in the Bee. Many events are scheduled. 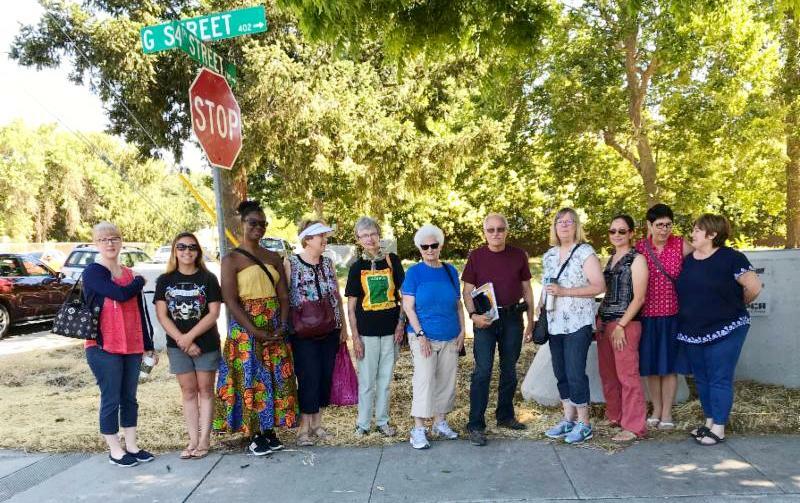 Some of us will be taking one of their walking tours on August 12 and 16 at 9:00 a.m. You can join us by signing up for this on the Wide Open Walls website . 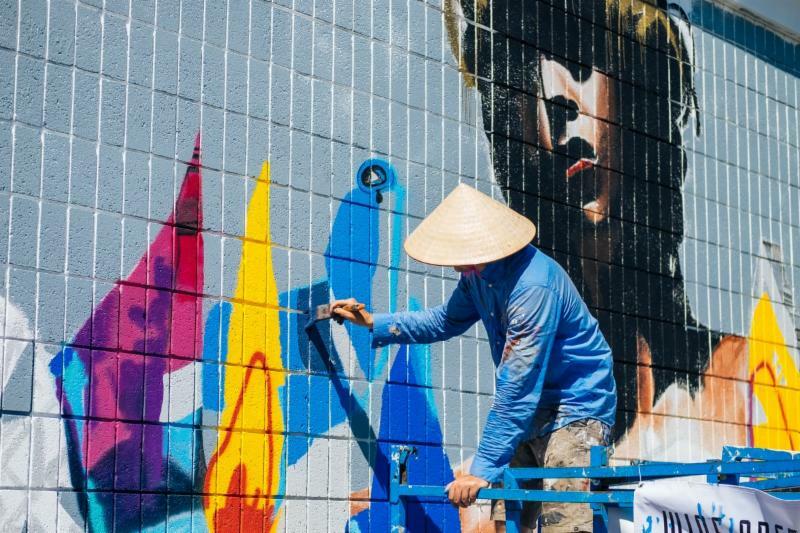 Wide Open Walls 2018 , which takes place Aug. 9-19, will feature about 40 local, national and international artists . Make a weekend trip of it! Come for one of our upcoming events, and if you're from out of town, explore the Sacramento area. 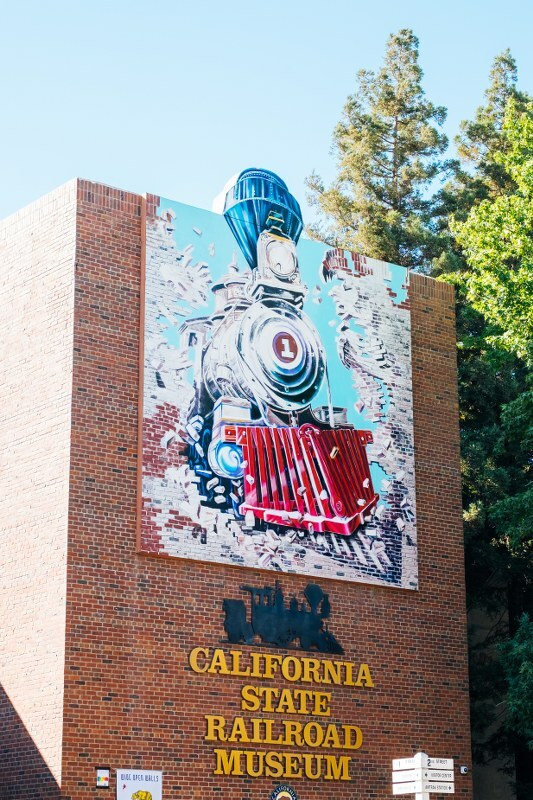 There are numerous places to stay, some within walking distance of our site including two on the Sacramento River: Embassy Suites, 100 Capitol Mall, the Delta King in Old Sacramento, and in West Sacramento, Rodeway Inn at 817 West Capitol Avenue. Members of Washington Commons are already starting to bond and create community! One of the things about cohousing that is unique is that in the process of organizing our community, meeting together, making a commitment to join the group, we begin to create the bonds of our community. In June, Willa learned that Maggie was with her daughter who was having her first child. 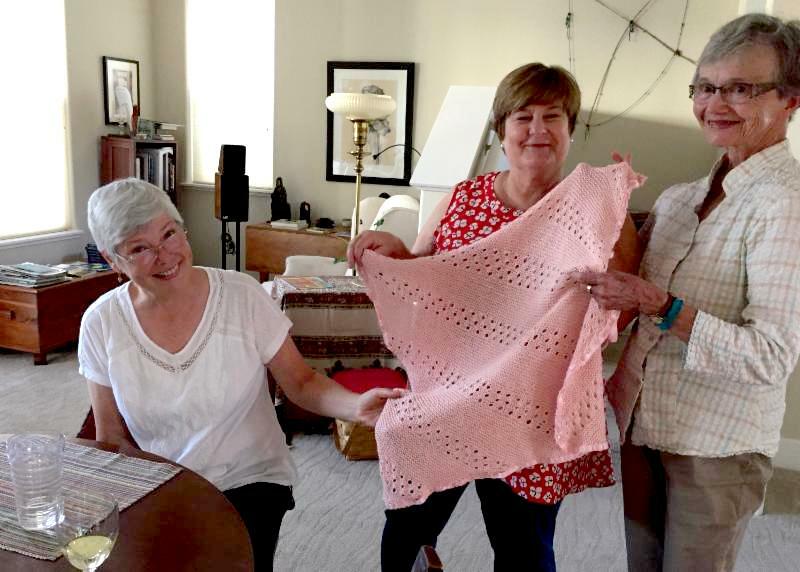 Willa was thrilled for her and with some leftover yarn created a beautiful baby blanket . She gave it to Maggie at our most recent evening discussion. We were all moved. Maggie tells us how thrilled her daughter was too. We are growing together as we learn about each other and share in our family events. Chris Dougherty led us again on a short bicycle tour of our neighborhood and across the river into Sacramento. We learned how easy it is to bicycle to the Crocker Museum and to the Amtrak Station. We returned via the bikeway along the Sacramento River, through Old Town and back across the Tower Bridge. We tried one of the new red Jump bikes and enjoyed their zippy electric assist. 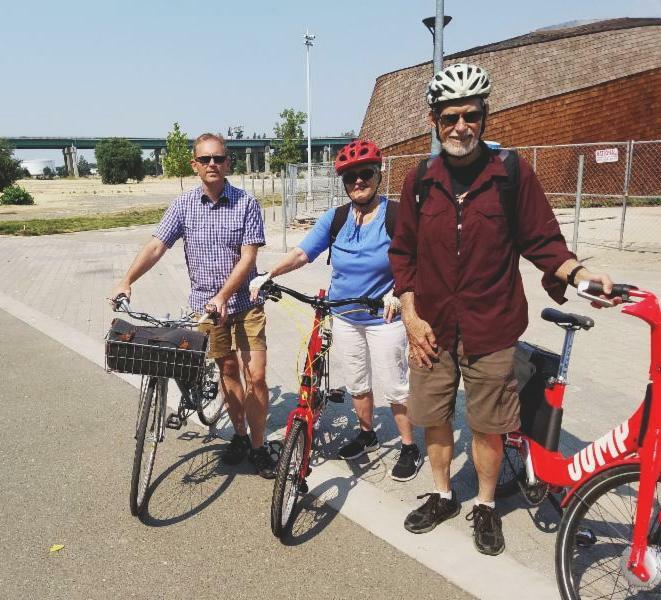 We learned from Chris that the Sacramento launch of the Jump Bikes has been very successful and in fact there are not yet enough bikes to meet the demand. We plan to have another bike tour in the fall. Stay tuned! Come ride from Sacramento, through West Sacramento and into the Delta with our team -- the Washington Commoners . All levels are welcome from a 15-mile fun ride to a full 100 mile Century. 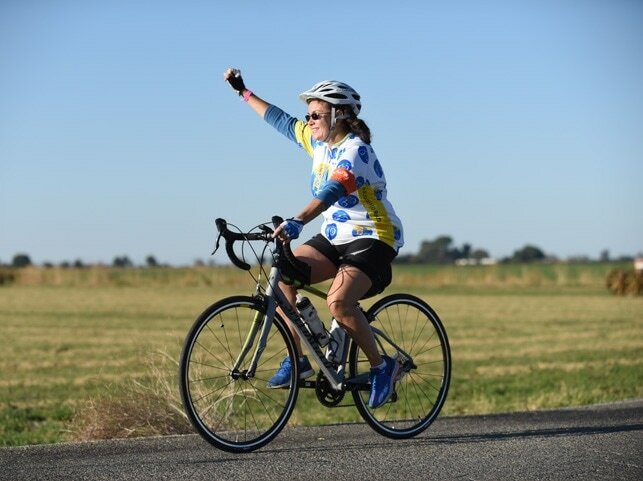 Go to www.SacramentoCentury.com to learn about the Sacramento Rotary’s Century Challenge event on October 6, 2018. When you register, scroll down the list of teams to “Washington Commoners”. We will be raising money to support the Sacramento Children’s Home Crisis Nursery Program. ﻿No need to be a member of Washington Commons to be part of our team. Stu Pettygrove is our team captain! Watch for future training rides. The Cohousing Community around the country is a sharing community. We learn from each other. 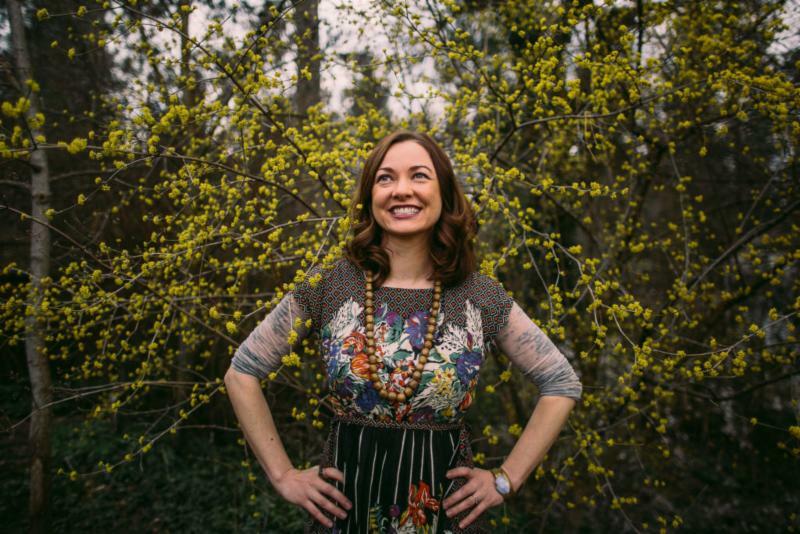 A recent interview with Mariah McKay, founding member of Spokane’s Haystack Heights Cohousing offers much insight into what goes into creating a cohousing community. Each cohousing community is a little different but many things are the same. We are creating our community ourselves piece by piece. "In cohousing, we have spaces that are conducive to maintaining long-term, trusting relationships with neighbors. You feel like you can really rely on your community to know who you are as a person and to look out for your best interests and help connect you to opportunities. The goal is to help everyone that’s going along this path, this journey called life and personal growth together. We take turns cooking for the whole neighborhood. There are folks to watch kids so that childcare isn’t so much of a burden as it is a collective responsibility that people value taking part in. There’s a community garden. A lot of things become possible in cohousing that are not possible near one or two people on your block that might be interested in collaborative action." You’ve been interested in cohousing for a long time perhaps. But maybe you’ve never been to a site tour. You wonder who is involved in this endeavor -- come join us for coffee on a Tuesday morning and get to know us a bit. Come to our Culture of Cohousing evening discussion August 16 . Ask your questions. Get answers. Become an Explorer member and dig deeper. This will give you the opportunity to become involved, participate in our business meetings (as a non-voting member), get to know the group and see how we work together. You’ll be given a binder of our materials including an extensive preliminary budget and other information about the development process. 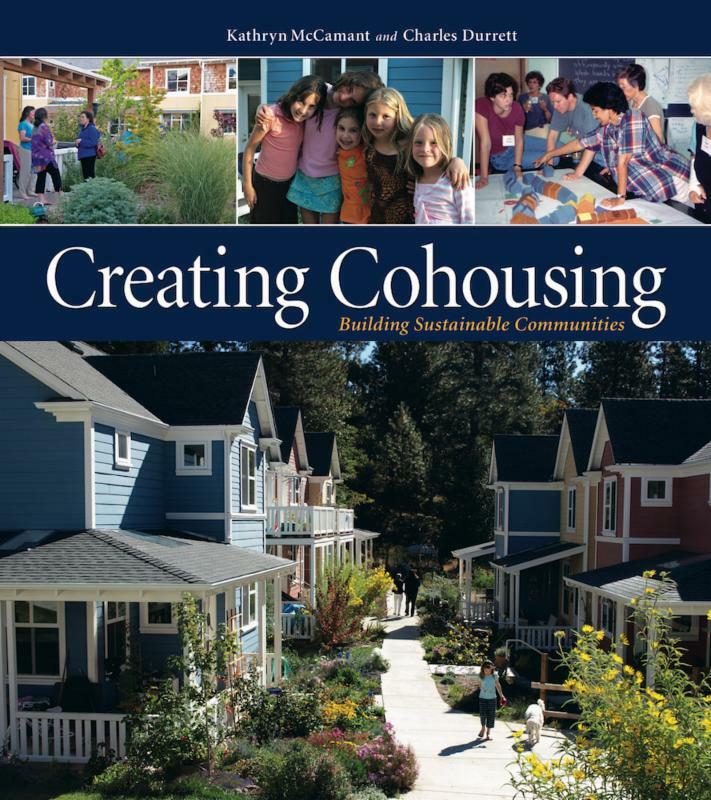 Additionally, you will receive a copy of “ Creating Cohousing” written by our expert consultant Katie McCamant in partnership with Chuck Durrett. We will brief you on these materials. 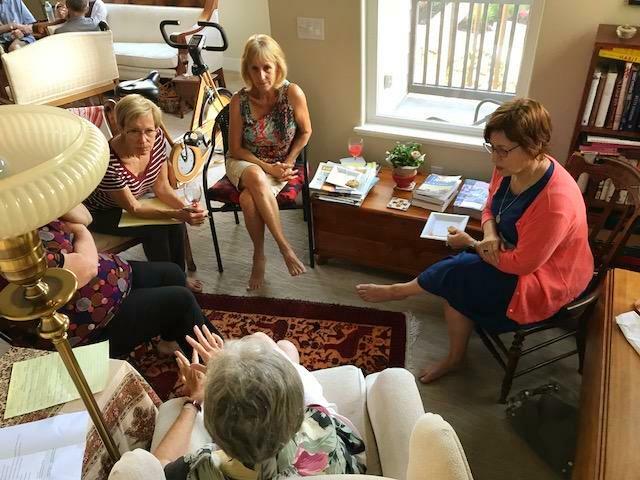 If you have been thinking like we have about the importance of community and about the potential of being part of the first cohousing community in West Sacramento – Now is the time to get involved! Become an Explorer with Washington Commons! Come Bike with us in October: Join the Washington Commoners Team! Hope to meet you at an event soon! For more information on Washington House Cohousing, please visit our website and check out our meetup page .